Simply Said is our on-line contribution system. To help make it easier for parishioners, St. Rita Parish has an online contribution system called Simply Said. This system allows parishioners to automate recurring and / or one-time contributions to St. Rita. Once you set up an account, you can have your contribution taken from a checking or savings account at a predetermined date and amount. You control the amount, frequency and start and stop dates. Reoccurring - this reoccurs at a set interval until you decide to end it. Set Number of Payments - this allows you to make a set number of payments on a schedule you control. The set amount is withdrawn a specified number of times. There are various funds listed for your donation / payment. 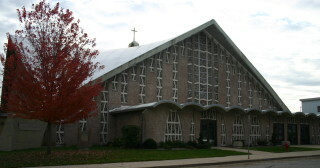 Endowment Fund - money invested to assist the parish in providing Catholic education to all parishioners. Click on the following link to go to the Simply Said site, then click on the New User section and you will be walked through setting up your account. Please remember to note your user name and password. The office does not have access to that, and is limited in what we can do to help if you lose your password. If you have any questions or need assistance, please call the Parish Office at 414-541-7515.